We have been talking a lot about science and technology. Like other areas of technology, armed forces have benefited a lot from science. From new weapons to refining the older ones, a lot of effort has gone into military projects. Ministry of Defense funds researches that may prove beneficial to the armed forces. We have already talked about an unmanned air vehicle in a shared airspace of UK. 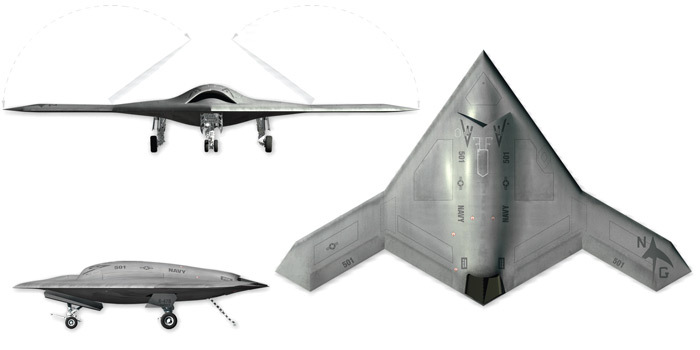 This time around, we are going to be talking about a new US Naval Drone called X-47B. It was only two years back when its development started with two major objectives; take off from and land on a naval carrier. Within a short span of two years, X-47B a jet fighter size drone, was launched from the deck of George H.W. Bush. 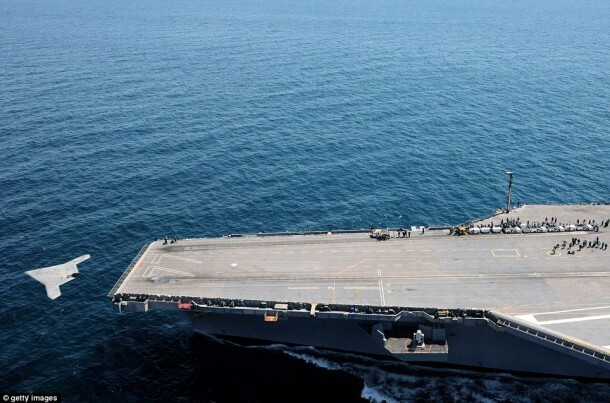 The demonstration included an unmanned naval aircraft, X-47B, taking off from the deck and flying around the carrier for a few times before flying itself back to Pax River. The demonstration was successful. In words of Vice Adm. David Buss, commander of Naval Air Forces, the demonstration and take off was a ‘watershed event’ in the history of naval aviation. He also said that; ‘Today we saw a small but significant pixel in the future picture of our Navy as we begin integration of unmanned systems into arguably the most complex war-fighting environment that exists today: the flight deck of a nuclear-powered aircraft carrier.’ Taking off from a carrier, while still being a milestone, proves only that this new drone is capable of taking the steam catapult launch, which is, by the way, same gear as used by the warplanes which Navy owns. What scientists were more eager to test was the question of how it would react around the carrier with so many different radio frequencies out there and rendering it a difficult zone for air traffic control. The Navy said; ‘Testers have demonstrated the ability to precisely navigate the X-47B within the controlled airspace around an aircraft carrier at sea and seamlessly pass control of the air vehicle from a ‘mission operator’ aboard the carrier.’ In this particular case the control was transferred to one located in NAS Patuxent River. 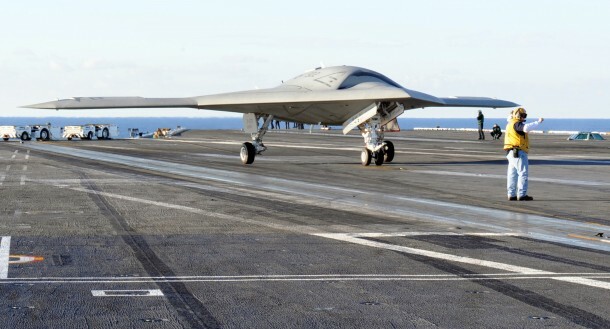 The course of action for the next few weeks shall be for the X-47B aircraft to fly and try out different approaches to the ship, all leading to the big event; landing it on the carrier. Beware; landing on a carrier is considered one of the most difficult feats any pilot has to pull-off. Bringing an UAV doesn’t change the fact that it’s still going to be difficult. 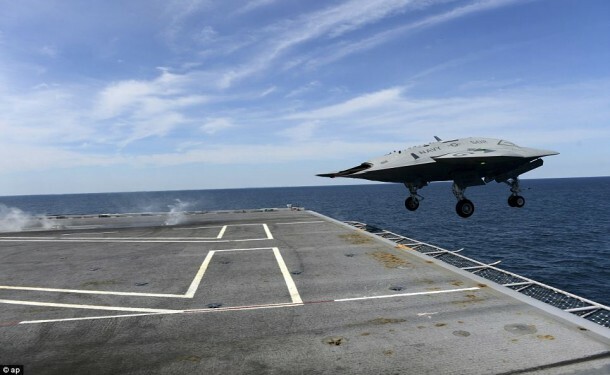 The Navy shall be employing Precision Approach Landing System (PALS) along with precise GPS system to ensure that X-47B lands as smoothly as it took off from the carrier. The success of this project will open up new roads for UAVs and their uses. 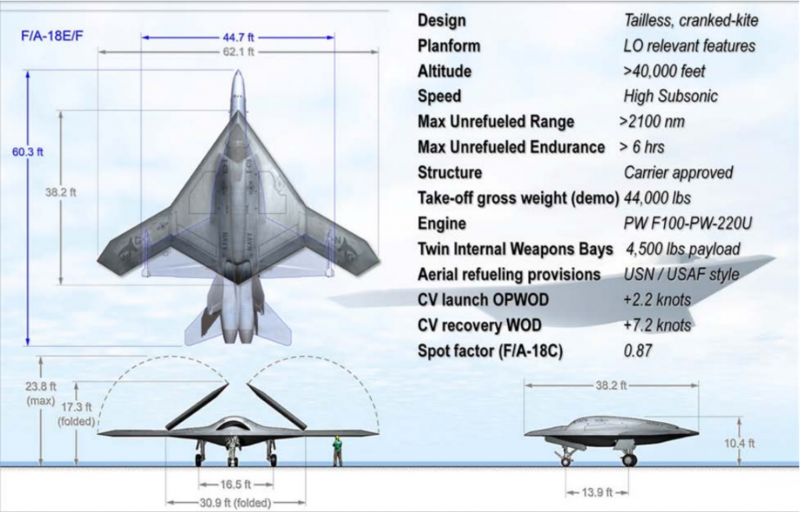 If successful, X-47B will prove quite useful in gathering information and for other providing help to troops on ground. R&D is the best dept. for me.